Buyers and sellers are often confused about the difference between a home inspection and an appraisal. They are two different functions of a real estate transaction with different goals. make that part of your offer, or you can forgo that option if you wish. state of Maine, there is no licensing for home inspectors; however your Realtor® will likely recommend a nationally certified home inspector. 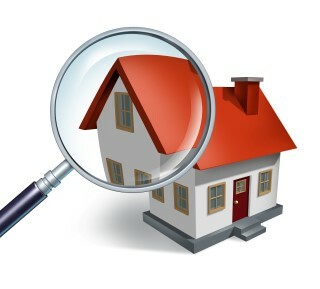 It is the buyer’s choice who they use for their home inspection. The cost of an inspection is anywhere from $300-$1200 depending on which inspections you choose to have. You’ll also want to check with your lender to see if they require any testing, like a water test, with your financing program. The inspection is not pass or fail, it is to let the buyer know more about the home they are buying and then go back to the seller to renegotiate, based on the findings if necessary. Often people consider skipping the home inspection because it isn’t required and they don’t want to spend the money. It is good to remember that this is likely the largest purchase you’ll ever make in your life and $300 is a drop in the bucket compared to spending your first night in the house and then learn that the furnace isn’t functioning. If you are using financing, an appraisal is a requirement to get your mortgage. Appraisers are chosen by a third party and the lender will not know who the appraiser is until the report is completed. The job of an appraiser is to confirm that the value of a property is at or above the agreed upon purchase price. How they do this is by looking at comparable sold properties. They will likely be looking at properties that have sold in the same town, or similar towns, in the past six months with as close to the same attributes to the subject property as possible. Once the appraiser has completed their report they will submit it to the lender and the underwriter will review it for any errors or items that need to be addressed. Some financing programs have certain criteria that a home must meet. A competent realtor will know the criteria for your loan and will let you know if they foresee any issues with the appraisal prior to going under contract. It is important that you are educated on the purpose of each step of the home buying or selling process, and these are two of the most important steps.